The Environment Institute is proud to present a public lecture by Dr. Melvin Gumal. Cost: Free, please register for this event. 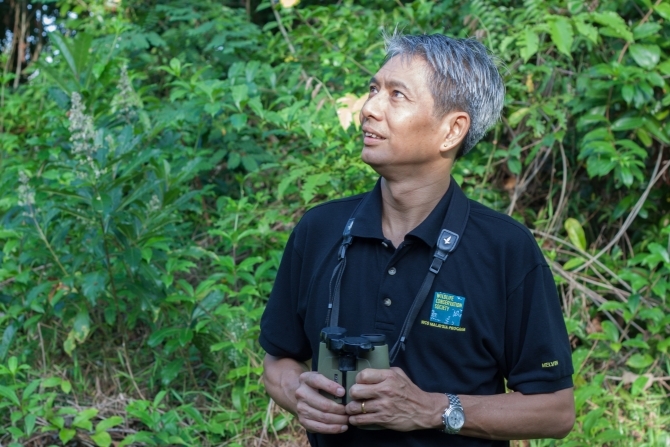 Over the past 20 years this veteran conservationist has been working with stakeholders at all levels of society to help protect the last remaining tropical rainforests in Malaysia, and the many wildlife species that depend on these forests for survival. In this seminar, Dr. Gumal will speak openly about the successes and failures of conservation in Malaysia, and in particular, the many important lessons that are not taught in school. Orang-utans in Sarawak, and tigers and elephants in Johor and Pahang are among the iconic species that the Wildlife Conservation Society (WCS) works on in Malaysia. Over the last 10 years, the work included field research on population estimates, support for law-enforcement and policy development as well as regular conservation education with rural communities. This presentation will highlight WCS’s ongoing efforts to save these species and their natural habitats as well realities faced by conservationists on the ground. Dr. Melvin Gumal is the Malaysia Program Director of the Wildlife Conservation Society. In May 2014, Dr. Gumal was honoured with the 2014 Whitley Award, popularly known as the Green Oscars, for his work with the Sarawak Government in Malaysia to conserve orang-utan and their rain forest habitat. Dr. Gumal has been Director of the WCS Malaysia Program since 2003. Prior to that, he worked with the Sarawak Forest Department for 15 years, where he initiated programs to engage local communities with park management through conservation education, developing alternative livelihood sources, business development as well as helping the communities learn English for use in eco-tourism and guiding. – Sir David Attenborough, trustee of the Whitley Fund for Nature. This entry was posted in Conservation Science and Technology, Events, Seminars. Bookmark the permalink.